Shadycroft Acres subdivision has custom 2-story homes and is located on the W Mineral Avenue & S Prince Street. This equestrian-friendly neighborhood of 42 homes has 2000-4500 square feet. The custom built 2-story homes have 3000-5500 finished square feet. 2-4 car attached garages are standard with most of the properties. Kids in this subdivision will attend Runyon Elementary, Euclid Middle, and Heritage High School which is also rated as one of the top 200 high schools in the US as well as one of the best schools in the Denver area. Horses will have plenty of room to run on the 1.25-2.25 acre lots. 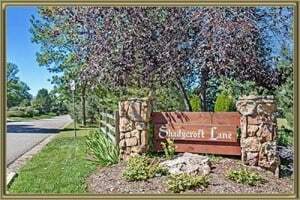 The homes for sale in Shadycroft Acres were built in the late 1950’ and 1990’s. Horseshoe Park and Carbone Park are located close by. See what your home is worth With an Instant Home Valuation Online. Want advice on selling your house? We provide a free staging consultation, pre-listing prep plan, and a Shadycroft Acres real estate market analysis. Call us at 303-325-5690 to learn more. New to the Area? Call our Shadycroft Acres real estate agent at 303-325-5690 to schedule your tour of Homes in Littleton CO.